It seems that as a nation we are getting bigger busted. So if you are one of those lucky ladies here are some of the tips and styling tricks I use to dress a large bust. Firstly, and most importantly, start by getting a bra that fits. There are fitting services in most department stores now so make use of them and make sure you are wearing the right size. It’s a common mistake to go for a larger back size rather than to go up in cup size. Just because you have a full bust, rather than the 36D you are wearing you may find that actually you are a 32F. You could try Rigby & Peller – high end price wise, with stores in London, Cambridge and Guildford, or Bravissimo who are more accessible price wise and have 21 stores throughout the UK. Bravissimo also have a sister brand - Pepperberry who offer clothing in different bust sizes - the answer to the gaping blouse problem! And here are some suggested styles for bigger bust. 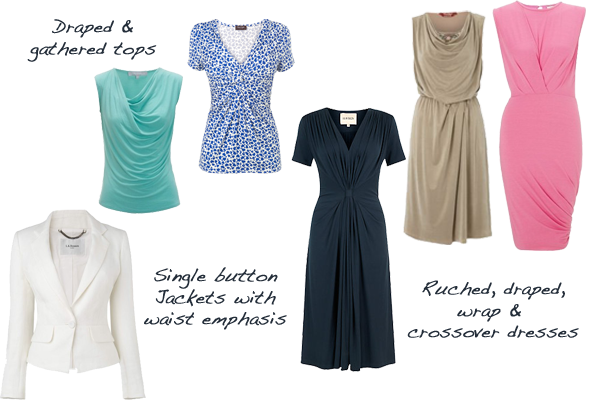 Kettlewell Colours do a fantastic colour range of crossover tops, camis and another favourite for dressing a large bust – the ballet wrap.